Wow, that's interesting timing. Thanks for sharing. Dec 27, 2006 9:16 PM | reply to me! I'd like to point out that this show was a week before Christmas. 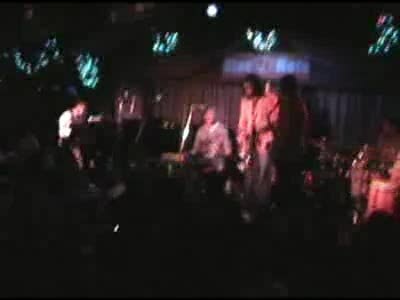 James Brown's longtime bass player gets on the stage at the end and jams with Chris and friends. While I was digitizing and uploading James Brown passed away. In some way I feel Chris Rob is uniquely doing justice to the spirit of a genre that defies its names. Dec 26, 2006 9:45 PM | reply to me!